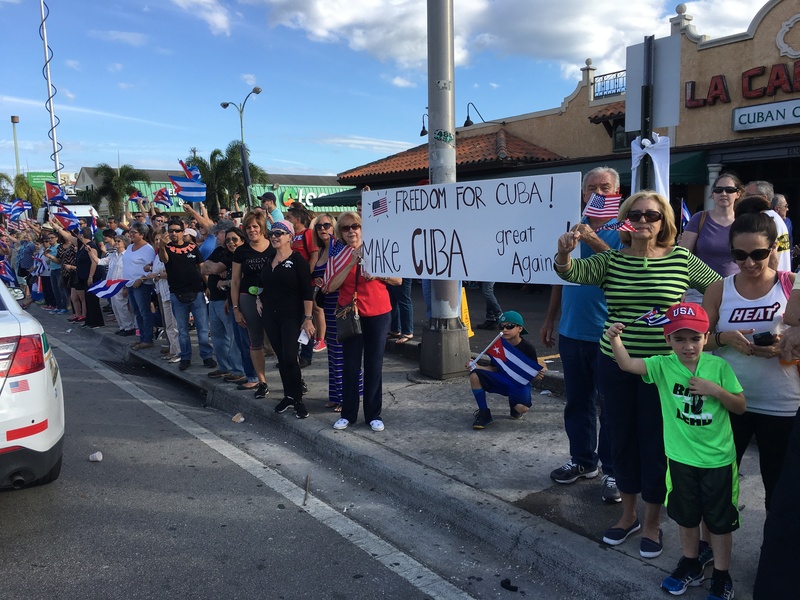 One couple borrowed the campaign slogan of President-elect Donald Trump to reflect their hopes for a post-Castro Cuba. Photo Source: Ben Wolford. November 25, 2016.